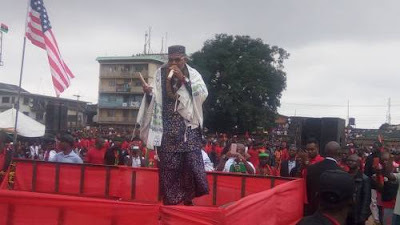 The group made reference to the "previous killing and brutalization" of people belonging to the region, which led to an increase in the demand for Biafra after Kanu was released on bail in 2017. The youth wing of Ohaneze appealed to President Buhari to intervene and grant "presidential pardon" to Kanu. In a statement signed by Okechukwu Isiguzoro, President-General of Ohanaeze Ndigbo Youth Council, and Okwu Nnabuike, the group's Secretary General, the Ohaneze youth said the arrest order was met with shock and disbelief. “And there is no need to escalate the tension already established in the South-East over the menace of herdsmen ravaging parts of Igboland."